The World Economic Forum (WEF) has named BMW Group Plant Regensburg a ‘Lighthouse of the Fourth Industrial Revolution’, acknowledging its pioneering role in the digitalisation of industrial production. The honour was bestowed after an in-depth selection process which saw the WEF examine around 1,000 production facilities in various industry sectors, said a statement from the organisation. A total of seven plants have today joined the circle of ‘Factories of the Future’, it said. The BMW Group Production System is closely based on the Strategy Number One > Next. The wide-ranging technological opportunities raised by the digital transformation in particular are being integrated into production to positive effect. According to the WEF, especially by using the custom BMW Group Intranet-of-Things platform, the Regensburg Plant cut the time to deploy all new applications by 80 per cent leading to a significant reduction in logistics costs. “Once a smart solution is successfully implemented, it soon spreads to other areas of production and other BMW Group sites,” he added. It is these solutions that make the increasing complexity of production manageable at all: high-performance production systems are enabling the BMW Group’s 30 production and assembly plants in 14 countries to deliver a global daily output of around 10,000 vehicles. These comprise more than 40 BMW, MINI and Rolls-Royce model variants, a great many of them individually configured. The decision by the WEF to induct the Regensburg Plant into its community of ‘Lighthouses of the Fourth Industrial Revolution’ provides confirmation of the success of the many digital solutions in the BMW Group Production System. The smooth integration of new, digital applications into production IT is supported first and foremost by the BMW Group Intranet-of-Things platform. This offers employees a wide range of digital tools and accessories which they can combine to create their own plug-and-play solutions. It’s an approach that keeps people firmly in the focus of value creation and offers them even more scope to shape their own workstations. 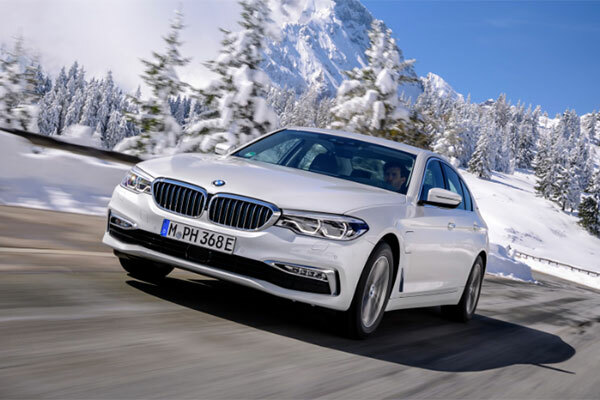 “Effective digital solutions and structural decisions provide us with clear strategic guidance and, along with the overarching BMW IoT platform, they are key factors in our success. The capacity of our associates to shape developments and integrate new solutions into production is fundamental to what we do,” he added.